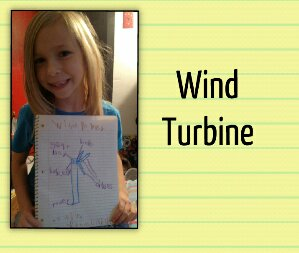 Lily drew and labeled a wind turbine. 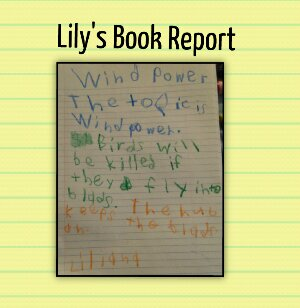 Lily has been interested in wind power for quite some time. The main reason for this being that there is a wind farm about 10 miles from our house. All of the books Lily read to complete her second bingo sheet. This is mostly for her teacher’s reference. 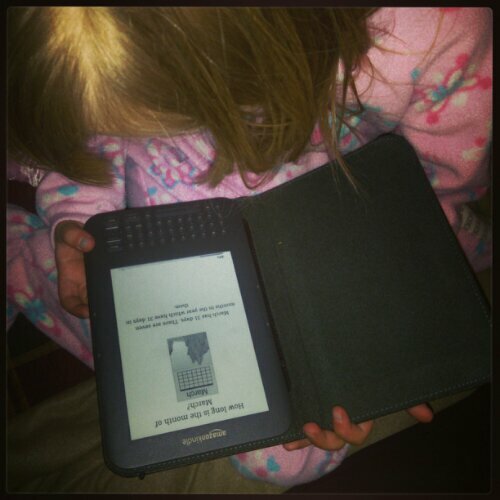 Lily needed a poetry book. Finding a decent collection of poetry for a kindergarteners that isn’t really long is not easy. My first choice was Shel Silverstein, but the length of the book would have been difficult to get through. We read one for her first bingo sheet. Rough. The book was fun, but the arrangement of the text makes it a frustrating read. Some of the text is sideways, other times upside down. What did you like about the poems? I liked the funny ones. My favorite poem was the one with the mixy dogs. What was your favorite dog? My favorite dog is the one that slipped out of a gate and ate food it wasn’t supposed to. I don’t like that in real life, I bet. That should just happen in books. 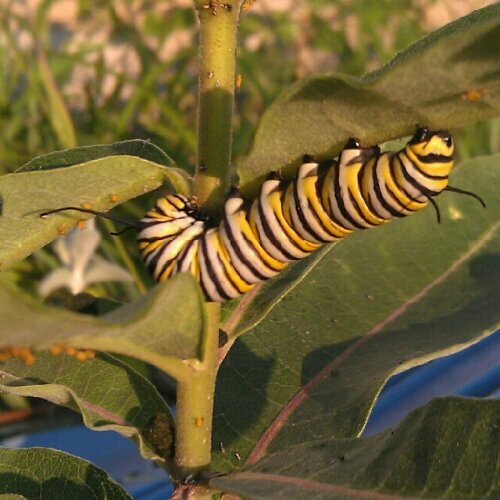 Lily studied the lifecycle of a Monarch butterfly in preschool last year. 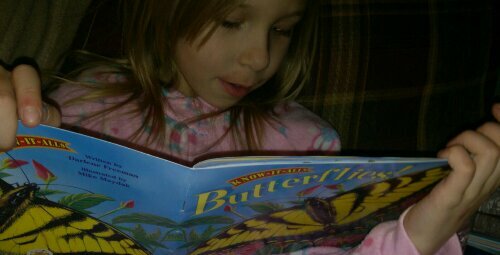 Ever since, she has been fascinated by caterpillars and butterflies. What are the four stages of butterfly metamorphosis? A caterpillar sheds its skin. The caterpillar becomes a chrysalis. After the chrysalis, they break through, they’re a butterfly. What are some defenses butterflies use? Some things on their wings. The Monarchs are poisonous to defend themselves. My favorite butterfly is all of them. My very favorite butterfly is the Monarch. I liked the book because it’s a Dr. Seuss book. What are three things in a people house? People are in a people house. A bed and a kitchen sink. 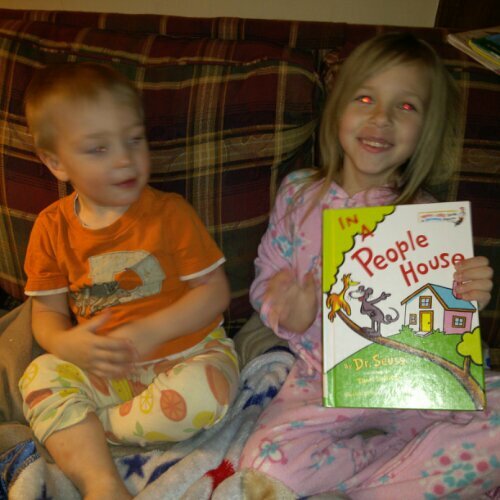 What’s your favorite thing in a people house? What is something in your people house that the mouse didn’t say? Something in my people house is a Wii. Why do you think Dr. Seuss wrote this book? I think Dr. Seuss wrote this Dr. Seuss book because he likes being the author because his favorite thing to do is writing. 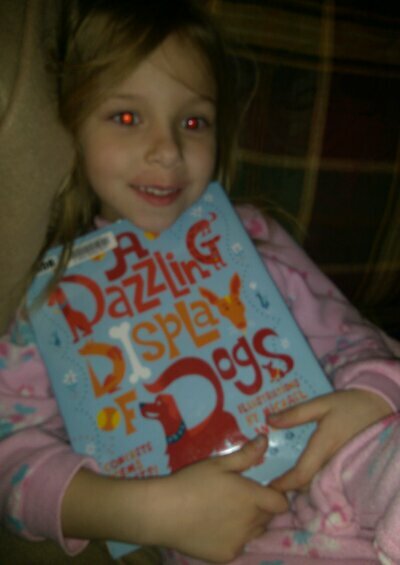 As I was reading the book to Lily, I found four spelling or grammatical errors. I blame the copy editor in me for that. Lily needed a non-fiction book, so I gave her a couple of options. She chose to learn more about her birth month. She was really honed in on her birthday. March 30th is National Pencil Day and National Turkey Neck Day. Something I learned is March is about some birthdays and some holidays. What is your favorite day in March? My favorite day in March is March 30! What fun holidays are in March? One fun holiday is St. Patrick’s Day and Easter.